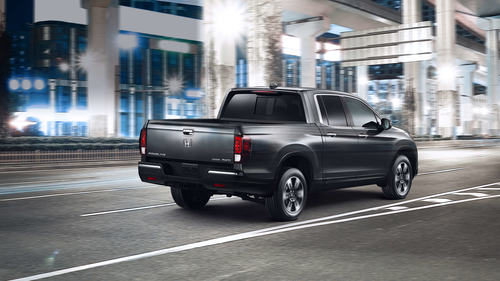 Ridgeline is powered by a 3.5-liter, direct-injected i-VTEC™ V-6 engine mated to a 6-speed automatic transmission, targeting best-in-class acceleration performance and segment-leading NR-CAN fuel economy ratings. All Ridgeline models will utilize Honda’s i-VTM4™ torque vectoring AWD technology, featuring Intelligent Traction Management with Normal, Sand, Snow and Mud modes, providing robust medium-duty off-road and towing capability with superior on-road, all-weather handling, traction and performance. 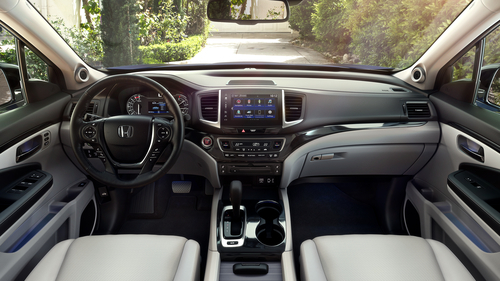 Inside, the Ridgeline boasts the largest, most versatile and sophisticated cabin in a midsize 4-door pickup, featuring high-grade materials and finishes, available leather trim and all the latest technologies that Honda has to offer, including tri-zone climate control, push-button start, a full-colour TFT center meter and 8-inch Display Audio touchscreen with Apple Car Play and Android Auto compatibility. The Ridgeline bed offers pickup users unmatched versatility in a midsize 4-door pickup. 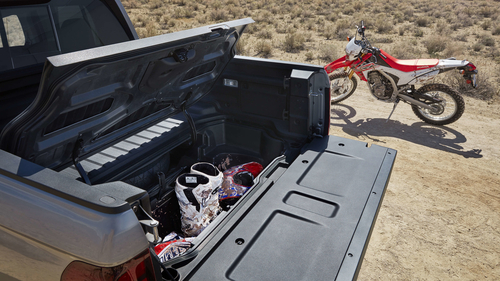 At 5’ wide and 5’4” long (5.4 inches wider and 4 inches longer than the previous generation Ridgeline), the 2017 Honda Ridgeline has the only 4-foot wide flat bed space (with 48 inches between the rear wheel arches) in the midsize pickup class, allowing for flat hauling of items like plywood sheeting or drywall. 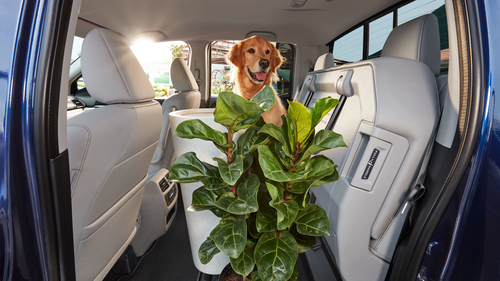 The composite, UV-stabilized and scratch-resistant bed also boasts a number of available Honda-exclusive features that add to its incredible versatility, including an In-Bed Trunk™, dual-action tailgate, available 400-watt AC power inverter and the industry’s first truck-bed audio system. The bed also features eight 350-pound tie-down cleats and an available 400-watt power inverter, located behind an access panel in the right bed wall, with the capacity to recharge power tools or energize a tailgate blender or flat screen TV. Honda Sensing™ technologies standard on the 2017 Ridgeline include Lane Departure Warning (LDW), Collision Mitigation Braking System™ (CMBS™), Forward Collision Warning (FCW), Road Departure Mitigation (RDM) and Lane Keeping Assist (LKAS). All Ridgeline models will feature a standard multi-angle rearview camera and an available Honda LaneWatch™ or Blind Spot Information system.